San Diego, Jan. 25, 2017 / Roya.com is proud to announce the addition of Accelerated Mobile Pages (AMP) to the Canvas® CMS platform, a state-of-the-art technology platform for online marketing. With over 50% of searches performed on mobile devices, consumers are demanding faster loading web pages with easier to digest content. 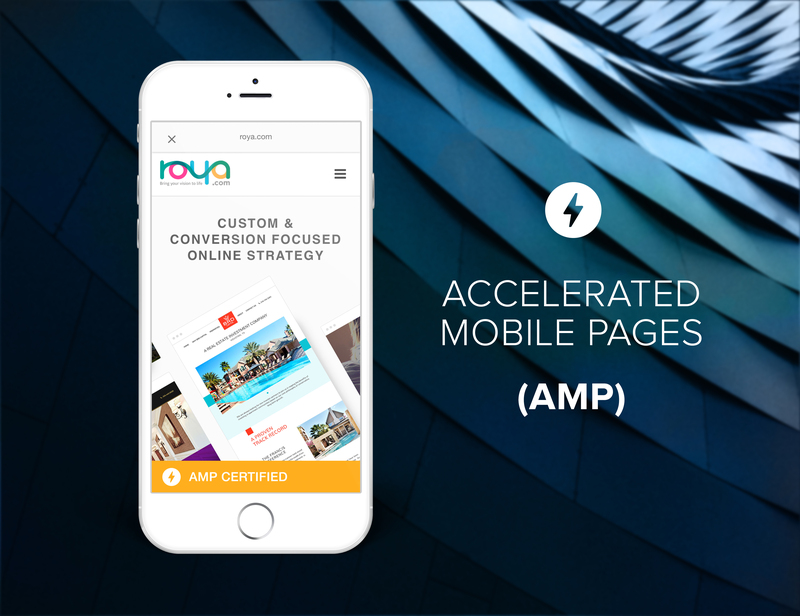 Roya.com is spearheading the mobile first initiative by integrating AMP pages within their CMS platform, giving users a mobile experience that is both higher-quality and faster to maneuver. Faster load times and less data usage compared to mobile optimized pages. Better user experience and user engagement resulting in a lower bounce rate. Stronger digital strategies with the support of a wide range of content formats, including video, images, and analytics. Higher rank in Google’s mobile search results. Greater number of clicks and an increased clickthrough rate with the addition of the AMP icon. Simplicity of an all-in-one CMS and Marketing platform built by marketers for marketers. Speed of cloud hosting technology that stores and optimizes assets for faster load times. Power of Built-in datasets that allow users to manage databases, while directly collecting data from web pages and landing pages. Ease of a user friendly interface that allows for customizations through drag and drop technology, enabling users to simply move and swap content or configure widgets anywhere on the page. Luxury of high-end custom designs that match your style and convert visitors to customers. Roya.com provides digital marketing tools and custom website platforms to small to mid-size businesses across the United States and Canada. Roya.com is one of the fastest growing companies in San Diego, California. For more information visit www.roya.com or call 858-345-5500.